Dr. Anita Borg devoted her adult life to revolutionising the way we think about technology and dismantling barriers that keep women and minorities from entering computing and technology. Even today, her combination of technical expertise and fearless vision continues to inspire and motivate women to become leaders in creating technology. 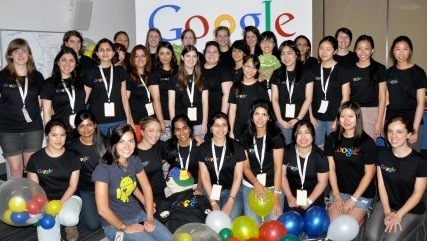 As part of scholarship that Google dedicates in her name, winners of the award are invited to a retreat which brings young female computer science students together to learn from some of the best minds in the industry and each other. "For as long as I can remember, I have loved science and technology. At age three, my favourite toy were a set of LEGO Duplo bricks. I loved just building things and putting things together. By the age of ten I begun programming my LEGO robots and when I made it to high school I joined a robotics team. As the sole female in a large group of boys, you learn quickly to become just “one of the guys. So when I followed this passion at university I barely noticed I was only one of a handful of girls. When I was selected for the Anita Borg Summit last year, I was excited to be able to spend time hanging out with other geeks. It didn’t really dawn on me until I arrived that everyone there would also be female. There I was amongst all these others girls who were just as passionate about what I did. For probably the first time in my life, it felt completely ok to be a “one of the girls”. One of the most important things I gained from the scholarship is that I was able to see I was not alone in my chosen profession - and that there are other women who want long and successful careers with the knowledge that they have the ability to change the world." Now in its 10th year, the Anita Borg Memorial Scholarship has grown to include Asia, India, Australia and New Zealand. This is the first year it is being offered regionally to Asia-Pacific. It’s important that this scholarship does more than just help connect passionate females, but that it also inspires a new generation of female computer scientists to continue doing what they love with confidence.